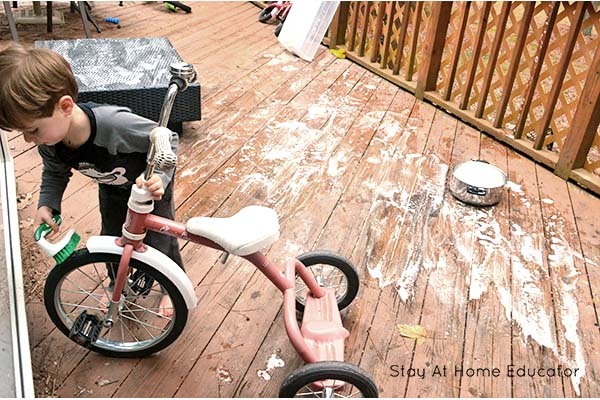 Think your preschooler to too young to help you with spring cleaning? Think again! Inside you’ll find tons of age-appropriate chores for preschoolers, and chores are important, because at this age they are often self-help skills! The date has been on the calendar for months. March 22nd: Host Neighborhood Bunco. 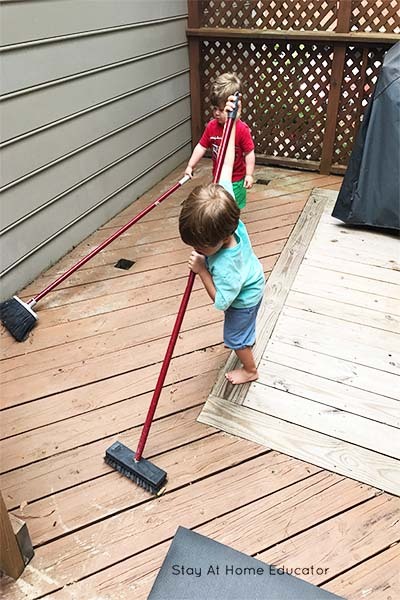 Now, as a mom of three boys under the age of four, naturally the cleaning begins a week or two in advance with a huge rush of final touches the day of. Have you seen the door handles in my house?! Probably not. But I can assure you they are covered in crust. From what, who knows, but if you have even one preschooler in your life, you know the crust I am talking about. Getting started ahead of time with the deep clean, and then the rush of organizing a gazillion toys on the day of, usually helps me prepare. “Can I help?” My preschooler asks as he looks up at me with those big brown eyes. Truth be told, I like to do things a certain way. Sometimes it’s hard for me to say yes. But I was also drowning with no time to spare and he was super eager to get started. So I handed him the non-toxic glass cleaner and paper towels and he got busy with a few chores for preschoolers. What happened after that was magic. I am pretty sure the glass door was sparkling. Did You Know that Children that Do Chores are More Successful? 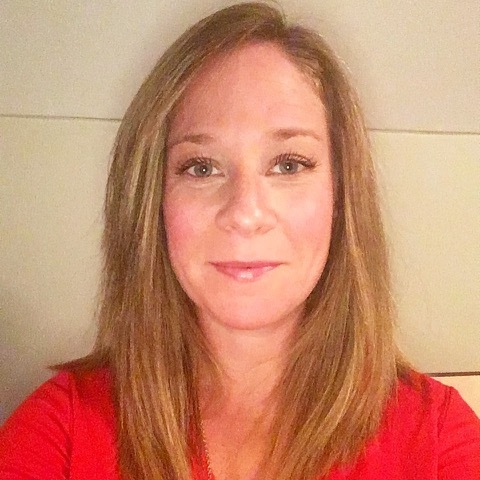 They continue to explain how you can begin to instill a work ethic and self-help into your preschooler’s routine now! Use these 9 Chores for Preschoolers to get you started. 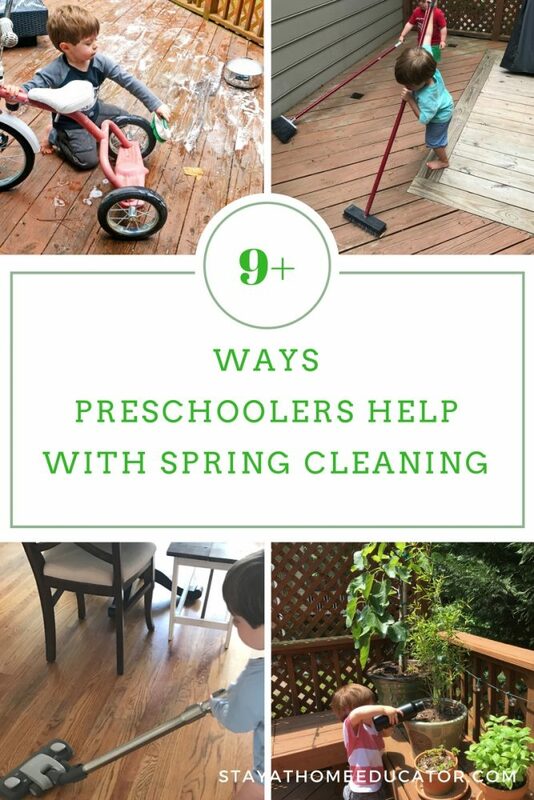 Begin by selecting one of the following ways your preschooler can help with spring cleaning. Decide together which one preschool chore best fits your preschooler’s ability level. You and your preschooler can add more jobs as time goes on. “You are making such a difference in our home! These windows are sparkling!” – even if they are not, be sure to still show appreciation and affirmation. They will continue to get better each time. “Wow! I am so impressed you were able to wash all of these toys today! How did you do that?” – Look surprised and impressed, allowing your preschooler to answer. The more you build your preschooler up, the better chance you have of having them eager to help more often. Total #momwin and all of these suggestions help with your preschooler understanding teamwork. Remember, children that do chores lead to more successful adults. Chores are just one of the developmental skills needed for preschoolers. Start today by adding small tasks that they can take on that will also help your spring cleaning to do list! Looking for More Ideas for Chores for Preschoolers? You might be interested in some of these posts.